Maybe you thought the more screen space and phone size, the better. 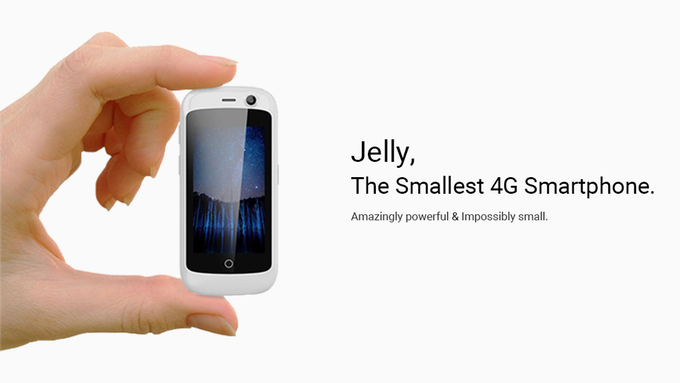 Meet world smallest phone – Jelly. Jelly The smallest 4g smartphone comes in two variants (jelly and Jelly pro). The pro is a 2gb RAM while the reguar jelly is of 1gb RAM. The Jelly phone, currently raising funds on Kickstarter, takes us back to that era, but with all the amenities of a modern smartphone. Derek Zoolander, eat your heart out. The Jelly, a tiny 2.45-inch touchscreen phone, is the world’s smallest fully-featured 4G phone. It runs Android 7.0 Nougat, and comes in one of two storage options: 1GB of RAM and 8GB of ROM, or 2GB of RAM and 16GB of ROM. On the front, it has a 2-megapixel selfie camera, and on back, a respectable 8-megapixel shooter. Inside, you get slots for two SIM cards and a micro SD. It runs on a 1.1 GHz quad-core processor. Let’s look past its modest specs for a second, though. This is a phone you can actually fit in your pocket without worrying about it bending. It’s a phone that not only fits in your pocket—it fits in your pocket’s baby pocket. You know, the tiny pocket you once stuck a quarter inside of and then couldn’t get back out because your fingers were too big? It’s that small. The folks behind the Jelly are called Unihertz, a team of Shanghai-based designers and engineers with more than a decade of mobile device experience. This appears to be the group’s first project together, based on its Facebook page, as well as its first Kickstarter. 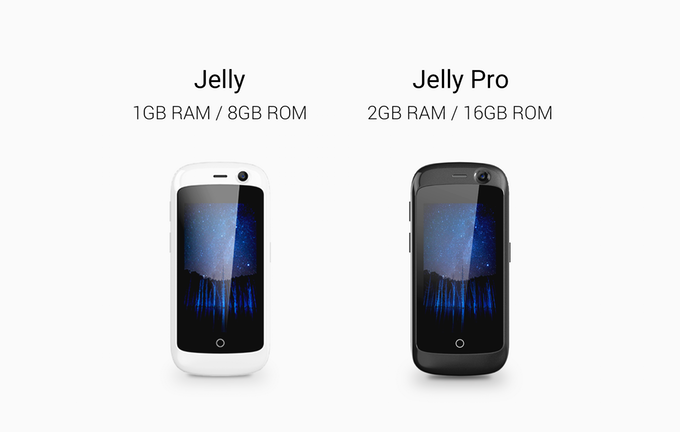 For a $79 pre-order, you can grab one Jelly in black, sky blue, or white. The project still has about a month left till fundraising ends. It has an ambitious expected shipping date of July 2017, but given the way of Kickstarters, I’d expect it to land around fall at the earliest.